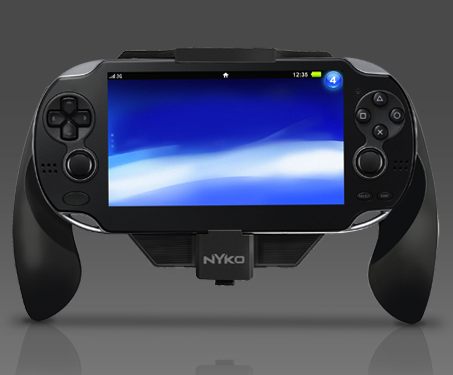 Get a new hold on PlayStation Vita with Nyko’s Power Grip. The Power Grip provides more play time for all your favorite PS Vita games and provides a better, more familiar and ergonomic grip to ease strain on hands. The grip features a sleek design for easy storage, a matching black finish to compliment the PS Vita, and a lightweight design that makes it ideal for travel. The Power Grip is great for longer, more comfortable gameplay sessions for any PS Vita owner. Will you buy the grip? Let us know your thoughts in the comments below!